The concept is based on the Golf MKIV (aka the PQ34 platform). It features unique styling and an unspecified electric powertrain. Volkswagen has unveiled the E-Lavida concept at Auto China 2010. Designed and developed by Shanghai Volkswagen, the Lavida is the first VW created without the assistance of German overlords. 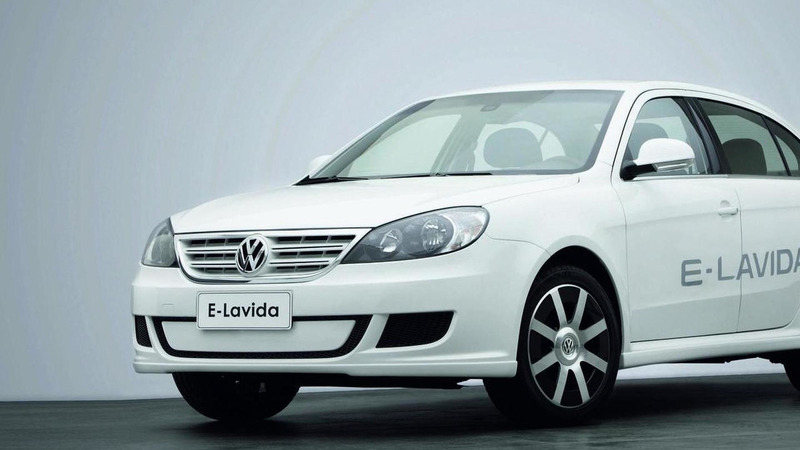 Available in the China since 2008 the Lavida is based on the Golf MKIV (aka the PQ34 platform). However, details for the E-Lavida concept with its unique styling and an unspecified electric powertrain are limited. Besides introducing the E-Lavida, Volkswagen outlined their EV (dubbed e-Mobility) strategy for China. In 2013 or 2014, the company will begin producing electric vehicles in China. According to Winfried Vahland, CEO of Volkswagen Group China, "The e-mobility strategy for China is perfectly tailored to local needs. Volkswagen will provide its entire BlueMotion technology to the two Chinese joint ventures for local production. The Volkswagen Group China has a hundred percent committed to the aim of providing Chinese consumers with innovative, energy-saving and environmentally friendly technologies available to achieve sustainable development. We are confident that will develop the Volkswagen Group China through our commitment to the market leader for e-mobility technologies in China." His sentiments were echoed by Dr. Martin Winterkorn, CEO of Volkswagen AG, who stated "Our goal is market leadership in e-Mobility (by) 2018. China is the world's most important market for the Volkswagen Group, and the success of e-mobility in China is crucial to the global implementation of (the) e-Mobility strategy."